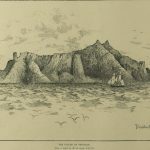 Throughout the month of September, The British Newspaper Archive is taking a closer look at researching local history through the newspapers. Currently, The Archive holds more than 800 titles and many of those are local or provincial titles. 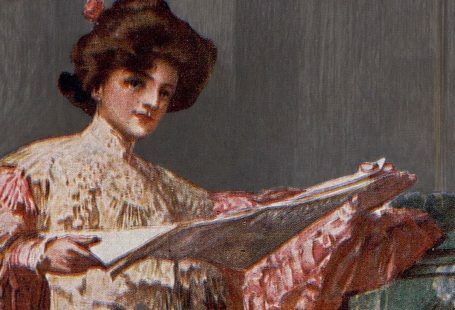 These papers reported national and international news, but it was in their interest to report details of local news and events. In our everyday life, we are affected on a daily basis by what happens in our immediate surroundings rather than national events. National events may have a trickledown effect on our lives, but it is the everyday local occurrences that touch us and the same is true for those who lived before us. We explored the newspapers and pulled out local history we found from 50, 60, 75, 80, 100, and 150 years ago. A theatre and the arts can be the centre of cultural life for a community. 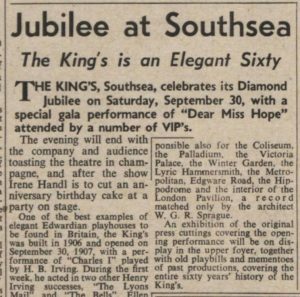 In 1967, the King’s Theatre in Southsea, Portsmouth, celebrated its Diamond Jubilee (60th anniversary) with a special gala performance attended by VIPs. The theatre, which still stands today, is an Edwardian playhouse designed by Frank Matcham who also designed the Winter Garden, the Victoria Palace, and the Palladium. 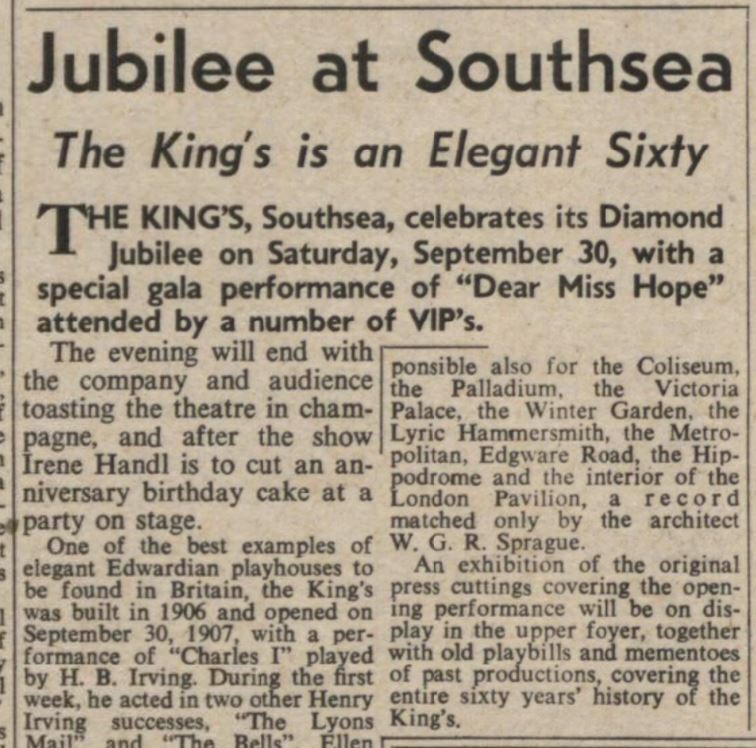 It was built in 1906 and opened 30 September 1907 with a performance by H B Irving of Charles I. 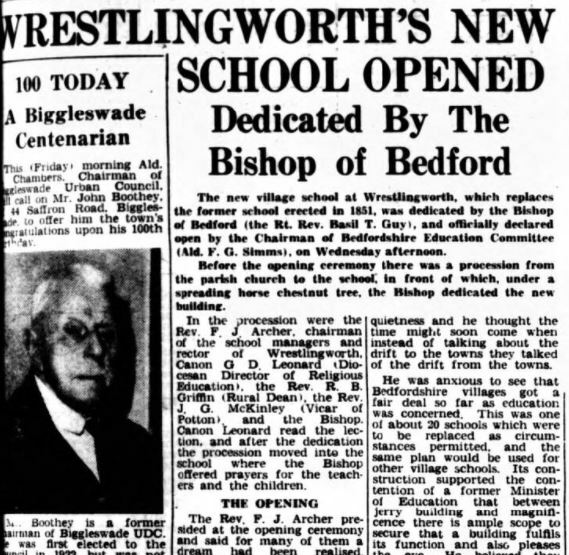 A new school opened in Wrestlingworth to replace the former school from 1851. As the article explained, ‘village communities had tended to grow up around the church, school and post office’. Education, along with work, is a focus of family life in a village. 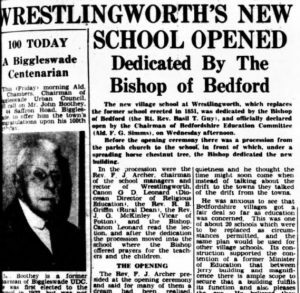 The Bishop of Bedford dedicated the building and the Chairman of Bedfordshire Education Committee officially declared the new school opened. 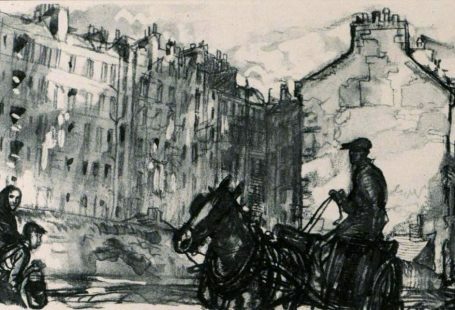 The journalist commended the peace and quietness of village life compared to living in the towns. A Golden Rule for newspaper research is to not limit yourself to your local papers when searching for a place or topic. News travelled, news of a locality could be recorded in another county or country. Seventy-five years ago, Britain was in the midst of the Second World War; therefore, the newspapers are filled with details of battles, military movements, and national security. The war did touch families on a personal level, especially those with family members in the armed forces. The Thanet Advertiser’s front page featured a ‘front line family’. Within the family of four children, three were in the forces and a fourth was a school principal. ‘The youngest daughter is on service in the Middle East, the elder son is a commissioned officer in this country and the younger son is putting RAF pilots through their paces in Canada’. The youngest daughter, ‘Sgt Phyllis M Bonning was one the first batch of 20 to volunteer for the ATS when it was formed about a year before the outbreak of the war’. 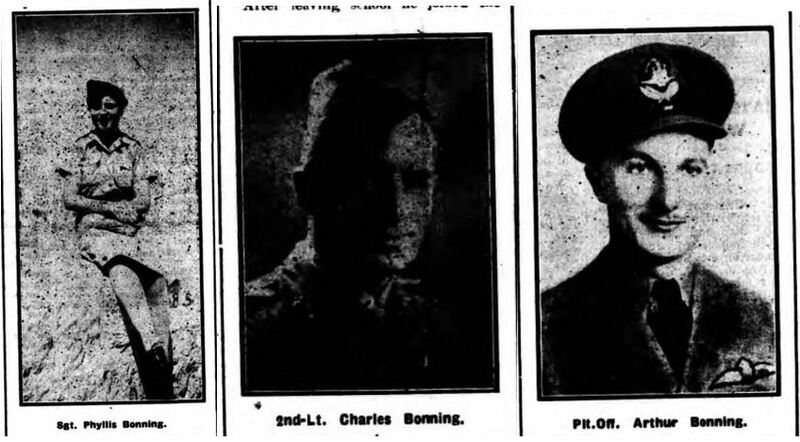 Second Lieutenant Charles Bonning joined the Pay Corps in September 1940, and younger brother Pilot Officer Arthur Bonning joined the Army four years before the outbreak of the war. The article also reprinted excerpts of letters they wrote home. 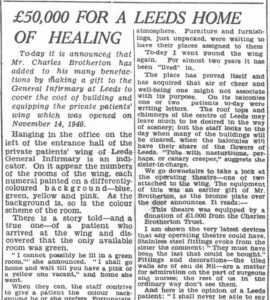 The Yorkshire Evening Post announced that Mr Charles Brotherton would donate £50,000 to Leeds home of healing towards the cost of building and equipping the private patients’ wing. Known as the Brotherton Wing, the hospital wing is still in use today. 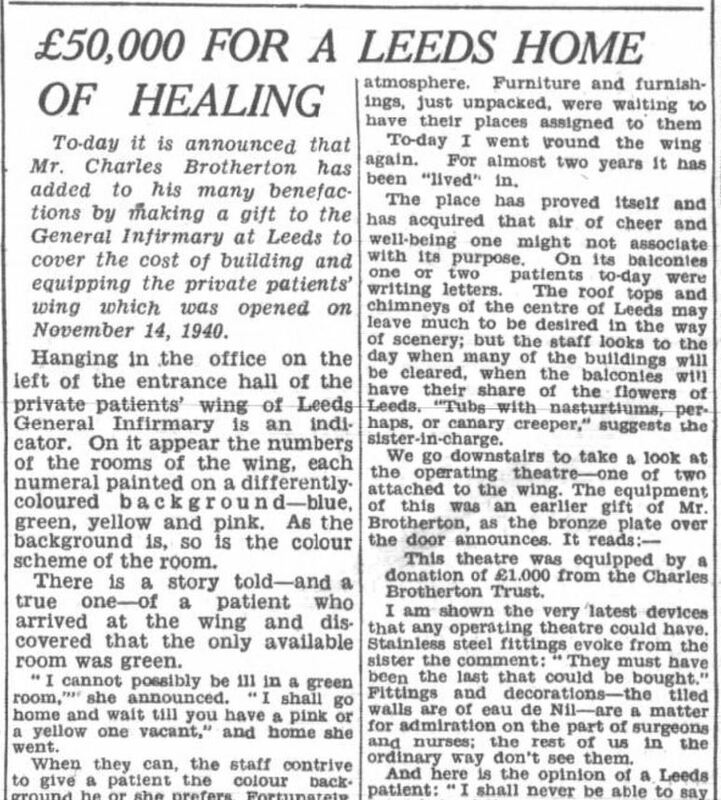 The donation made a lasting impact on the hospital and furthermore to the community it served. How many of us attend the cinema on a regular basis? But do you know when your local cinema first opened? 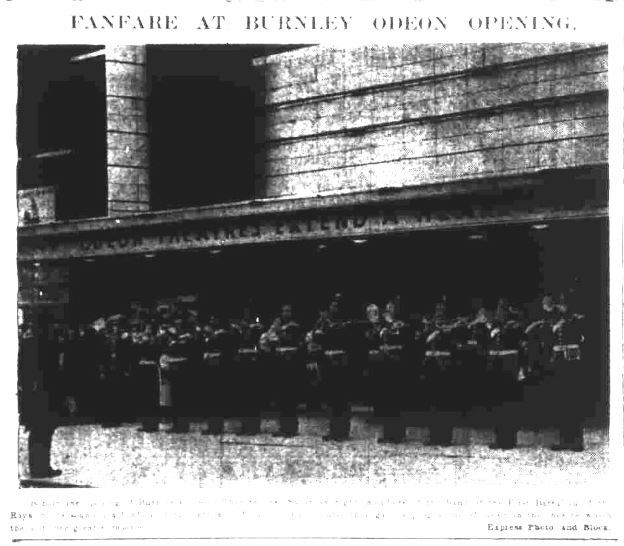 The Odeon theatre at Burnley opened 80 years ago. 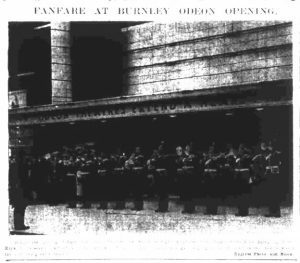 It was celebrated while members of the First Battalion of Royal Scots sounded a fanfare at the entrance of the cinema. One hundred years ago, tramcars were a popular means of public transportation; therefore, when one went off its line or there was an accident, it would affect the lives of many within the local area. The Newcastle Evening Chronicle reported that a tramcar running down Kingston Hill ‘jumped the points and turned completely over’. 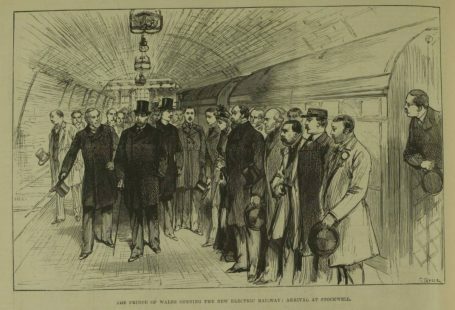 The only passenger on board at the time was Miss Murphy who received injuries to her head. The driver and conductress were both injured and the car was completely wrecked. 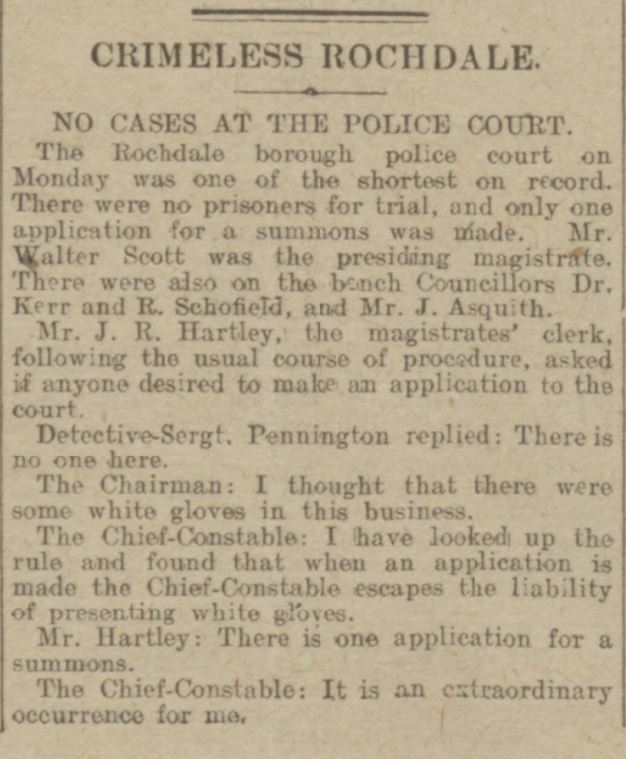 We read regular reports of court cases and trials in the newspapers, a key resource for these events. However, this day in Rochdale, the news of the day was that there was no news. 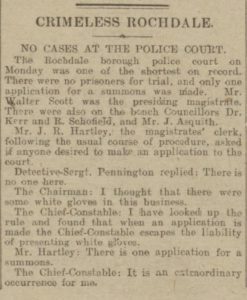 It was a crimeless day at the police court, one of the shortest days in court on record with no prisoners for trial and only one application for summons. It was an extraordinary occurrence. 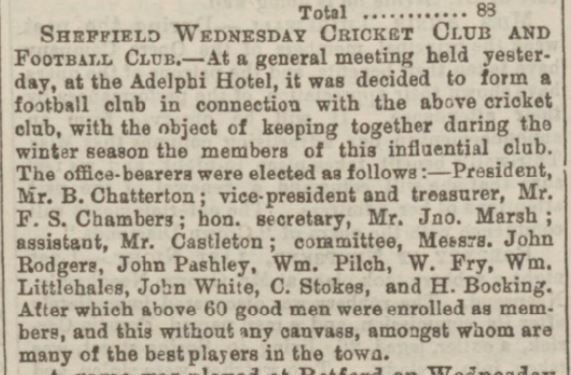 One hundred and fifty years ago, the members of the Sheffield Wednesday Cricket Club decided to form a football club in connection with the influential cricket club. 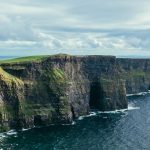 The report is small and not an exciting announcement, but it was a decision that would affect the local area for the next 150 years. Today, Sheffield Wednesday is a professional football team which competes in the English Football League Championship. Not many results were returned during an initial search for the Sheffield Wednesday Football Club. 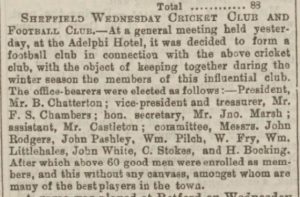 After discovering that the club was in association with the cricket club, our search was changed to Wednesday Cricket and Football Club which returned vastly more results.